Japanese automaker Toyota has plans to sell fuel cell buses in early 2017. The buses have already undergone thorough testing, with Toyota proving that these vehicles can be used practically. The Tokyo Metropolitan Government intends to use these fuel cell buses in order to make public transportation more environmentally friendly and efficient. Two of Toyota’s fuel cell buses will be utilized in Tokyo at the beginning of next year, if everything goes according to plan. Toyota has a long history with hydrogen fuel cells, and the automaker has big plans for the future. 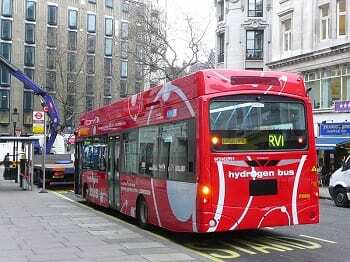 The company intends to introduce more than 100 fuel cell buses to the Tokyo area ahead of the 2020 Olympic Games. Tokyo will play host to the Games, with hydrogen fuel cells playing a major role in providing the electrical power needed to run the Olympic Village, where athletes and foreign dignitaries will be living during the Games. Toyota hopes to showcase the power of hydrogen fuel cells, highlighting their efficiency and capability of powering vehicles. The energy system powering Toyota’s fuel cell buses is based on the technology that powers the company’s Mirai. The Mirai is equipped with a hydrogen fuel cell and was launched in Japan late last year. Toyota has expressed great faith in fuel cell technology, noting that these energy systems could unlock a cleaner, more environmentally friendly future for the auto industry as a whole. Toyota is not the only major automaker supporting fuel cells, of course, and the company is joined by Hyundai and Honda in attempting to make hydrogen the fuel of the future.